Covering your windows may not seem like the most exciting decision in your home decor, but when you consider their impact on the room temperature during the four seasons enjoyed here in Cincinnati and how they pull a room together, it’s easy to see that your choice can have a long-term impact. These aren’t your grandmother’s drapes, though. 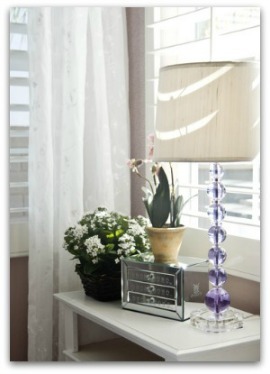 You want to find window treatments that are functional and stylish. Here are a few options. Classic and bold, roman shades make a statement in any room. They add an element of softness while also lending warmth to the room. Made using luxe fabric that can provide privacy and block some light, roman shades are a timeless choice like your favorite cashmere sweater. With the right color and pattern selection, this type of window treatment can refine the look of any room without demanding any attention. When purchasing roman shades for your home, select an option that is lined with blackout fabric or privacy lining to ensure it will provide some insulation when in use. When made from a durable, heavy-duty fabric, traditional curtains or fabric panels can effectively block light to minimize heat loss while also adding a cozy element to any room. A key advantage of this type of window treatment is that when made with a durable, washable fabric, they can be very easy to clean. As most panels are hung from a single rod, they also are simple to take down and hang up again. This is especially important if you are installing them over a sliding glass door or in a room with a lot of foot traffic because they may need to be cleaned more often. If you want a covering that lets light in while still preventing heat and air loss, cellular shades are an ideal option. For those cold Cincinnati winters and humid summers, cellular shades help trap air using insulating fabric and a multicell design, which provide exceptional insulation. The materials used in cellular shades also let in some natural light while still offering UV protection for your skin and furniture. This way you can enjoy your privacy, be able to see the view from your window and light the room naturally simultaneously. Just like in fashion, sometimes layering can help you achieve a look that’s as functional as it is stylish. Pairing roman shades and fabric panels can provide a polished look brimming with warmth and privacy. Or, on the other hand, pair a simple, non-functional valance with a functional covering like cellular shades or wood blinds to get the advantages of energy efficiency, privacy and style. You don’t have to limit yourself to just one type of window treatment. Get creative, and combine various elements for a look that suits the room’s unique needs.